If art is a portal to another world, where better to celebrate the life and work of one of the finest sculptors to emerge from the UK or Ireland than at the gateway to the town that inspired him and the cultural heartland that is Armagh. Just off the A1 at the entrance to Banbridge, the FE McWilliam Gallery recreates the sculptor’s intimate London studio, populates a garden space with stunning sculptures and hosts a gallery featuring not just his own extraordinary work but a rolling line-up of international artists and sculptors that changes four times a year. Hiding in the barrels made by neighbour Carson the Cooper, imbibing the aromatic smell of sawdust at Proctor’s the furniture makers, even the slaughtering of animals in the local butchers, the young Frederick (later named Mac by friends), found the natural craftsmanship of country town life, allied to the beautiful scenery that still delights, crucial to his later artistic career. And what a career it was! Explore his recreated studio – only Henry Moore himself and a handful of other sculptors have received such an honour – and you not only sense the ambience in which he worked but can trace his imaginative journey, from groundbreaking surrealism to quirky 60s experimentation to captivating figurative sculpture, in the work displayed around you. The dimensions are exactly those of the Holland Park studio which he built in his garden in the early 1950s and where he worked until shortly before his death in 1992. A canopy at the front and side is identical too. All that is missing are the wood shavings on the floor, as his grandson noted. Displayed around the walls are maquettes (the early stages of sculpture) bronzes, figures and masks. A pair of slippers and an overcoat are among dozens of personal items that powerfully suggest the presence of the artist in the packed annexe next door. Here you can see his set of tools, the cans of paint he used, even the original wood from which he carved his masterpieces. 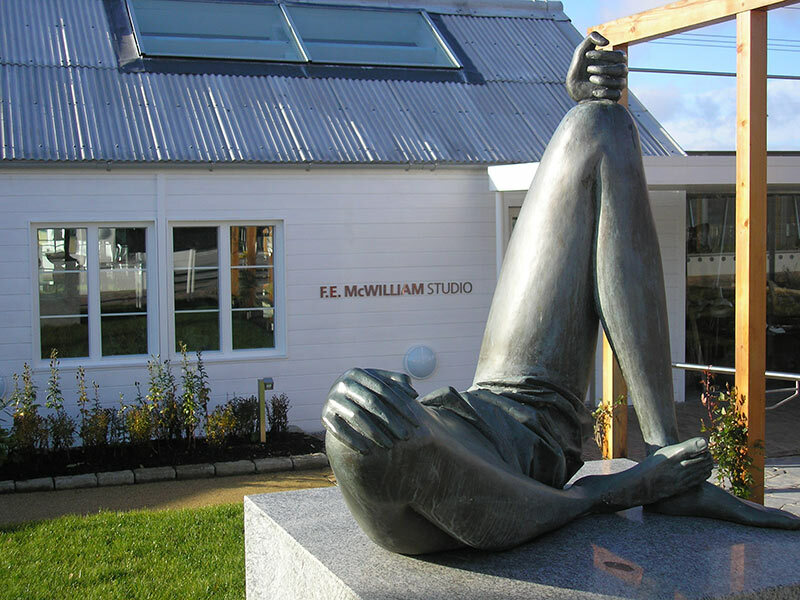 FE McWilliam Gallery recreates the sculptor’s intimate London studio, populates a garden space with stunning sculptures and hosts a gallery featuring not just his own extraordinary work but a rolling line-up of international artists and sculptors that changes four times a year. 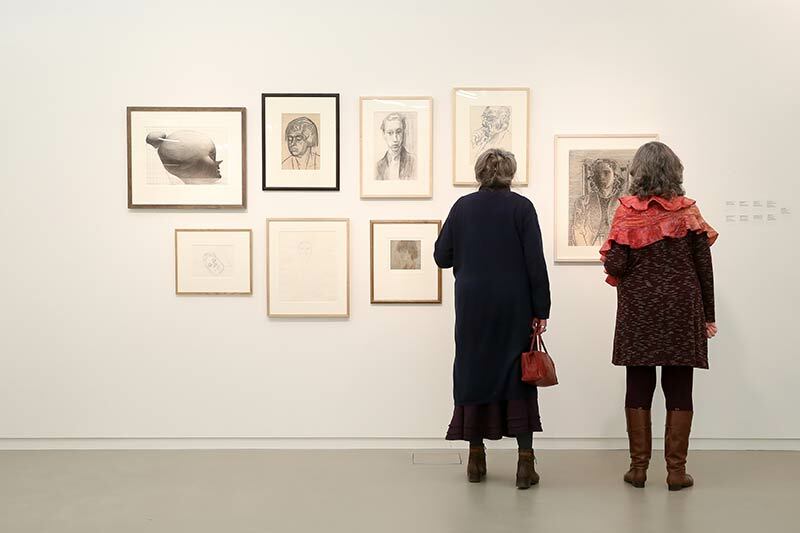 Now, having met the man and experienced his creative environment, wander back to the gallery, chat to one of the highly informed guides and look anew at the sculptures that captivated the art world. Among the most memorable of these are the extraordinary Women of Belfast, a hugely powerful series of small bronzes that depict a Troubles bombing. 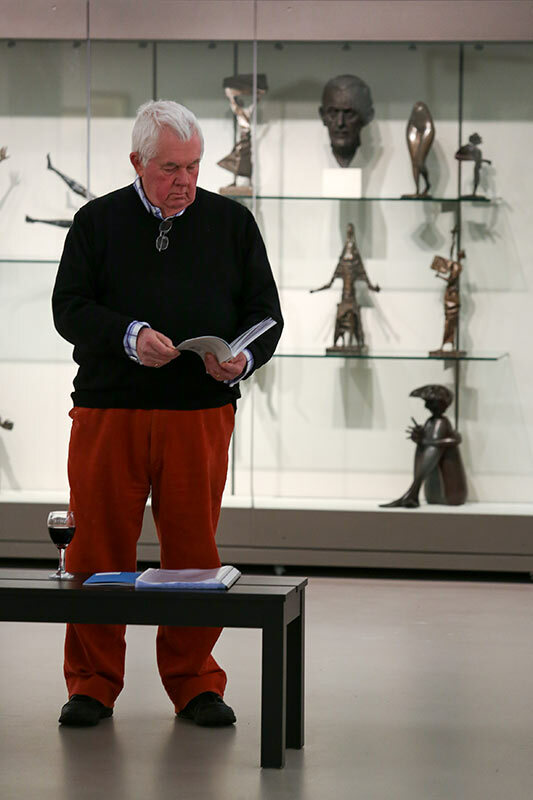 McWilliam’s work is the ideal introduction to the wider cultural world of Armagh. He inspired two later greats from the area, the leading sculptor Kevin Francis Gray and acclaimed artist and musician JB Vallely. You can be sure he will inspire you too!